How To Use Your Refrigerator For A Healthier Lifestyle? A healthy lifestyle should not just be a flashing thought, but a long-term commitment. To make it binding, one should stay dedicated to eating healthy. A healthy lifestyle should not just be a flashing thought, but a long-term commitment. To make it binding, one should stay dedicated to eating healthy. It may be surprising to note that even your refrigerator at home can help you in maintaining healthy eating. The basic point is to stock the refrigerator with only healthy food stuffs and eliminate unhealthy food items. Once they are out of sight, they can be out of mind too. 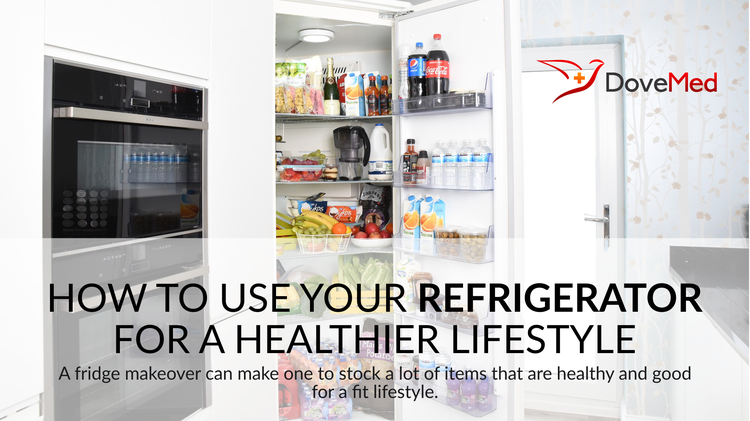 A fridge makeover can make one to stock a lot of items that are healthy and good for a fit lifestyle. A refrigerator has become mandatory nowadays and everyone owns a fridge. You can make the best use of your refrigerator by stocking some healthy options that would make a change in your lifestyle. The first thing you need to take care before following a healthy lifestyle making use of the refrigerator is to choose items that have different perishable timings. A bag of greens and fresh vegetables would stand for about a few days. Stocking these up can help you make salads, which would be a healthy option for any time meal. When the refrigerator is stocked with healthy items, it becomes easier for midnight snackers to eat without putting on weight. If you are a person who tends to get hungry at odd times, pile up a few fresh fruits in your fridge. This would help one to beat the hunger pangs caused during odd times. Fruits and vegetables have about 7 days of shelf life, depending on the type of the eatable. Replace all the high-fat dairy items with low-fat dairy products. Whole grain tortillas make a quick snack, and can be stored in the refrigerator for longer duration. Research from the University of California points out that nuts can be stored for up to a year in the refrigerator. This is why nuts are one of the healthiest options when it comes to stocking the fridge. Peanuts, pistachios, walnuts, almonds and the like belong to the family of mono-saturated fats. These are the good fats which the body needs. These are loaded with antioxidants and serve as a great option for a healthy snack. If you are looking for a healthy lifestyle and to stay in shape, it is time to tone down your fridge. Stocking the fridge in the right way matters a lot. The healthy foods mentioned above needs to be kept in the mid-shelf of the fridge. The University of Illinois at Urbana-Champaign in research has pointed out that an individual is three times more likely to reach for healthy food if it is kept in the mid-shelf. Sipping on water makes sure that one loses weight and stays fit. But plain water can be boring. Fix it up with mint, cucumber, ginger and the like to make it more palatable. Hide your comfort foods like pasta and other stuff behind your healthy foods so that it is easier for you to choose the latter and opt for a healthy lifestyle. Marklinder, I., Magnusson, M., & Nydahl, M. (2013). CHANCE: a healthy lifestyle in terms of food handling and hygiene. British Food Journal, 115(2), 223-234. Queen, J. A., & Queen, P. S. (2004). The frazzled principal's wellness plan: Reclaiming time, managing stress, and creating a healthy lifestyle. Corwin Press. Cha, E., Crowe, J. M., Braxter, B. J., & Jennings, B. M. (2016). Understanding how overweight and obese emerging adults make lifestyle choices. Journal of pediatric nursing, 31(6), e325-e332.